Cancer survivor Barbara Baxter says her art piece, like a favorite blanket or quilt, is meant to envelope the beholder and offer comfort, encouragement, love and support. Everyone benefits when Facing This Together. 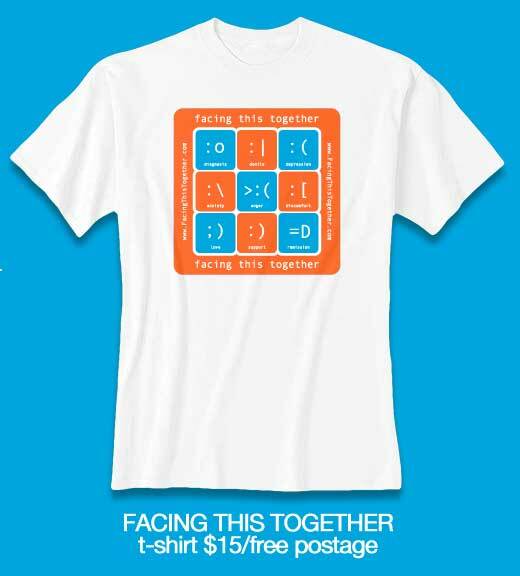 Facing This Together is dedicated to raising awareness of cancer support groups. It’s Comfy, Colorful, Current, and it shows that U CARE. Proceeds from these products benefit cancer support groups. Thank U 4 FACING THIS TOGETHER.